At a time when bands are stripping to the bare essentials, shedding instruments and members in favour of pre-recorded tracks, Yes We Mystic remains committed, in all senses, to excess. 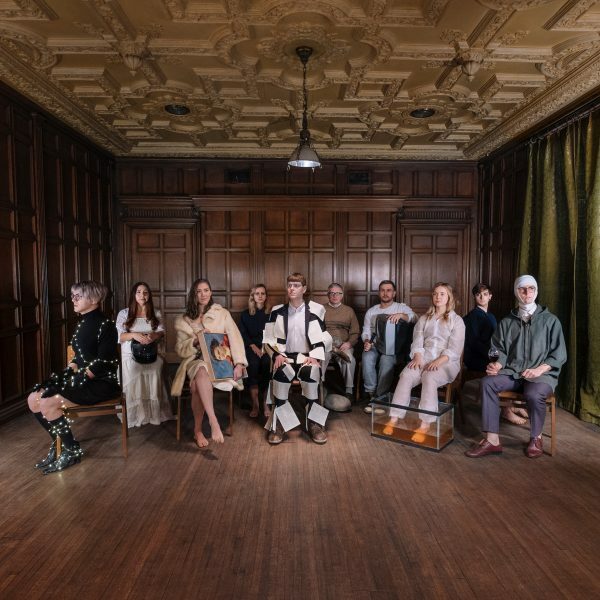 Their maximalist live show packs stages with equipment; their rich, knotted orchestration seems to indulge their every instrumental whim; and their album releases often resemble large scale performance art projects. The trick, if it is to be de ned, is to set an expectation, and then defy it. The band takes ideas and sounds from all over the musical spectrum and lters them into a sound that is exhilarating, heartrending, pummelling, and grand. Perhaps elsewhere the anthemic has had it’s day; here, however, it is bent and distorted beyond recognition into something–dare we say–fresh. 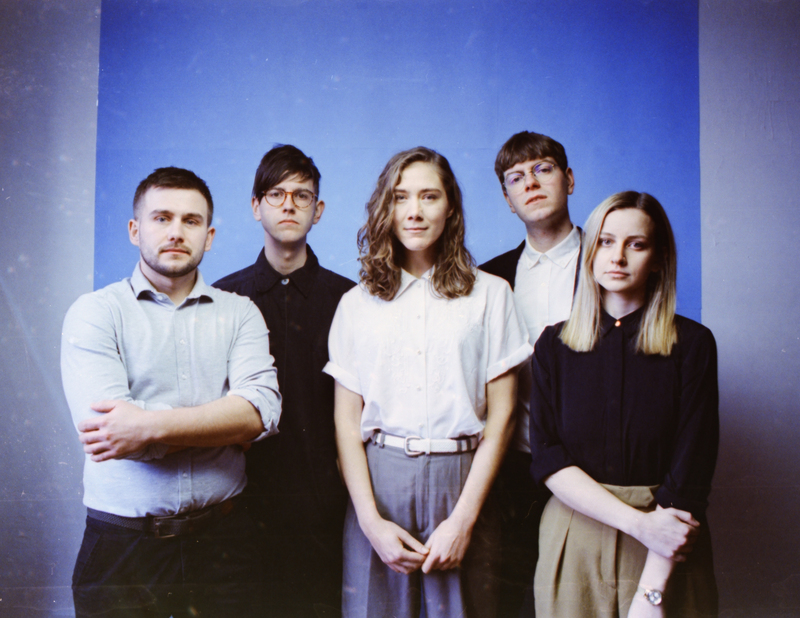 Praised as “art pop transformers”, and charged with a “fearless creative energy”, Yes We Mystic has become a steadily growing force on the Canadian indie scene since their formation in Winnipeg in 2011. If you had to put a nger on it, perhaps the best descriptor for the band’s sound is “intense, cinematic art pop”. The band matured into this sound with the release of their 2016 debut album Forgiver, recorded with legendary Canadian producer Jace Lasek (Patrick Watson, Wolf Parade, Land Of Talk). The album was met with acclaim in both Germany (where the album was released on DanCan records) and Canada. To support Forgiver, they played over 100 shows in 10 countries, appearing at NXNE, SXSW, The Great Escape, Reeperbahn, and Orange Blossom Special (a career highlight in itself). The success of their rst album led to their recent signing to DevilDuck Records Worldwide. With musical nods as diverse as J Cole, Katy Perry, and The Weakerthans, referencing everything from the superocean at the beginning of the world to suicide and the excesses of capitalism through the lens of a 2000’s game show, their new album, Ten Seated Figures, ripples with an unpredictable, unplaceable energy. Yes We Mystic has spent three years attempting to recast organic sounds as alien and unfamiliar, running mandolins, acoustic guitars and orchestral string arrangements through cheap digital octave pedals and iPhones. By layering these sounds atop Adam Fuhr and Keegan Steele’s dark and triumphant compositions, the band once again presents a new face to the songwriting that has propelled them since their early days. Lyrically, Ten Seated Figures is a multi-faceted exploration of personal mythologies and self- ctionalization. The album is focused on how our misrememberings, distorted perspectives and self- delusions shape who we are and how we experience ourselves. It is a concept album, not in the sense that it tells one single story, but in that it is a collection of stories that t together to act as a meditation on one single premise. Produced by the band’s own Adam Fuhr, engineered by John Paul Peters (Tanya Tagaq, Royal Canoe, Begonia) and mixed by Marcus Paquin (The National, Arcade Fire), the album is sure to defy all the expectations that Yes We Mystic has set thus far.